Why was director Roman Polanski so passionate about doing this movie? Roman Polanski's inspiration for doing The Pianist came from the fact that he himself had been a prisoner of the Polish ghetto during World War II. He had returned to Poland from France with his parents just two years before the second world war began. Both of his parents were taken to concentration camps, where his mother eventually died. With the help of his father, who pushed him through the barbed wire of a camp, Roman escaped the ghetto and traveled through the Polish countryside where he lived with different Catholic families. He reunited with his father in 1945. Why did Szpilman's book go unnoticed for so long? 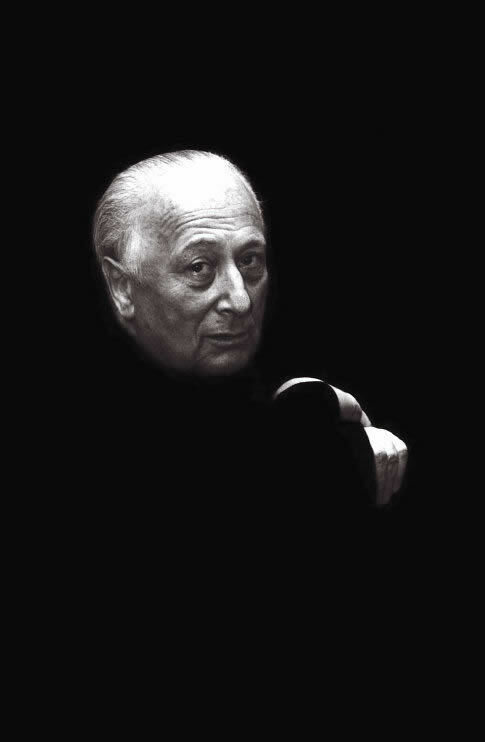 Recently published in English with the title "The Pianist," Wladyslaw Szpilman's harrowing account was first published in Poland in 1946 under the title "Death of a City." Until recently, the book had remained largely unnoticed. Upon its initial publication, the Communists suppressed it, because, as Wolf Biermann surmises in an Epilogue to The Pianist, it "contained too many painful truths about the collaboration of defeated Russians, Poles, Ukrainians, Latvians and Jews with the German Nazis". Stalin, at the time of his death in March 1953, had been assembling a transport for his own eastwards "resettlement" of the Jews, which could have led to a second Holocaust. It was only after the dissipation of the Soviet block that publication became possible thanks to the efforts of Wlayslaw Szpilman's son. Did a boy at the train stop at Umschlagsplatz really sell Wladyslaw Szpilman and his family a single, overpriced caramel as their last meal together? Yes. This was Szpilman's last memory of his family together. In his memoir he said the following, "At one point a boy made his way through the crowd in our direction with a box of sweets on a string round his neck. He was selling them at ridiculous prices, although heaven knows what he was going to do with the money. Scraping together the last of our small change, we bought a single cream caramel. Father divided it into six parts with his penknife. That was our last meal together." The videos below offer a look at the real life Wladyslaw Szpilman who passed away in 2000. Watch a Peter Jennings segment that offers an overview of Szpilman and see the other video to watch him play a Chopin piece. "I played Chopin's Nocturne in C sharp minor. The glassy, tinkling sound of the untuned strings rang through the empty flat and the stairway, floated through the ruins of the villa on the other side of the street and returned as a muted, melancholy echo. When I had finished, the silence seemed even gloomier and more eerie than before. A cat mewed in the street somewhere. I heard a shot down below outside the building - a harsh, loud German noise." Wladyslaw Szpilman with his son. The photograph was taken in 1998. 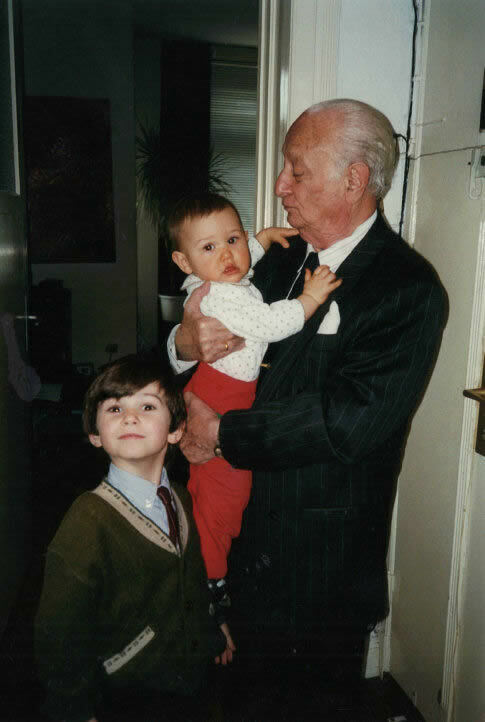 Wladyslaw Szpilman with his grandchildren, Alina and Daniel.